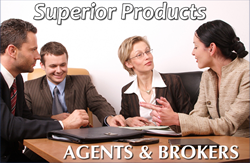 Superior Products For Members, Agents & Brokers ! General Agent Center has been a national distributor of industry leading products since 1973, serving thousands of agents and members nationwide. We work with associations such as Value Benefits of America and National Employers Association to help provide members with excellent benefit options from a variety of insurance carriers and benefit providers. Our agents work with individuals, groups, associations and affinity groups. GAC is a one stop shop.